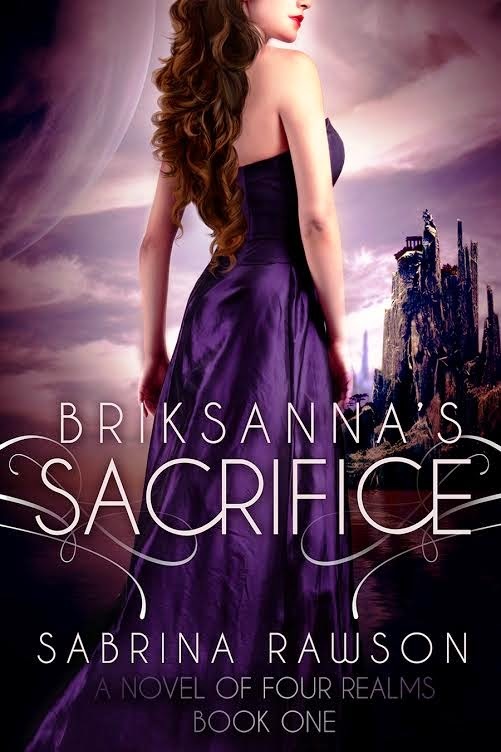 Briksanna’s Sacrifice is a character-driven fantasy romance novel, the first book within a series called A Novel of the Four Realms, about men and women of different realms on a quest to fulfill a prophesy. Prologue Captured, physically and emotionally exhausted, Briksanna Akmond, High Princess of Skaldanna has no idea where she is or how long she is going to be kept prisoner. The Prophesy speaks of her having a starring role in the downfall of Lord Drakkoon. She escapes her prison draining her persecutor of life. Two thousand years hiding in the Earth Realm, Briksanna heads a mercenary group called Lightning Strike where every member is part of her adopted family. Her secret love, Nathanial, openly declares his promise to cherish her forever despite his own reservations. They are visited by the Goddess Merridian who explains The Prophesy and the importance of their roles. She reveals Lord Drakkoon is her twin brother and the history of his role in the Under Realm. In a dream sequence, Briksanna recalls her prison tormentor was actually her betrothed. Thinking he was dead, she grieved her lost love during her imprisonment. She does not want to feel the vulnerability of love, and prays for healing from her pain; when her prayers go unanswered she uses her energy to destroy the prison. Waking, Briksanna is reassured by Nathanial of their growing relationship while giving her space to build their relationship in trust. Nathanial’s brother, Stark, sits with the rest of the family explaining the importance of solidarity regarding The Prophesy. In the Under Realm, Lord Drakkoon interrogates his most trusted warrior why he failed his latest mission, in the Earth Realm. The warrior explains his encounter with Briksanna’s family, and how he lost all of his soldiers. Lord Drakkoon uses his power to alter the warrior forever changing him. Merridian is in Lord Drakkoon’s castle when her energy is drained barely escaping the Under Realm with her life. Briksanna is drained of energy in the Earth Realm. She contacts her friend, Katerina, who confirms the same had been felt in the Second Realm resulting in the death of her lands. Briksanna promises to bring help right before fainting in Nathanial’s arms. In a dream sequence, Briksanna recalls believing she is a victim of tragedy and embraces the desire for vengeance. Nathanial takes Briksanna to their room to have a surprise visit by Skaldanna’s seer Vakgdona. She informs him of a quest they will need to embark on in order to gain the weapon needed for The Prophesy. Stark brings Briksanna’s twin daughters, who are healers, to the room. Stark reminisces on his past relationship with Nathanial while heading to get something to eat. Nathanial feels unsure of his capabilities of being a king and shares it with Stark. Intent on forgetting Nathanial and Briksanna explore their love, embrace their heated desire allowing their emotions free reign. Stark is surprised when the Goddess Merridian appears out of nowhere seeking shelter before passing out in his arms. He takes her to the infirmary turning her over to the twins. The twins explain, to the rest of the family, the dynamics of energy and High Royalty distribution of energy on Skaldanna. Briksanna doesn’t believe she can trust Merridian and she offers a truce allowing Briksanna to access her memories. Briksanna explains what is to be expected while on Skaldanna as royalty and how energy is the sole source of life in all the realms. The warrior interacts with Lord Drakkoon, further acknowledging his hatred for him. He reflects on The Mistress as his protector while he cherishes the medallion she gave him and together they will destroy Lord Drakkoon. The next day, all family members prepare to leave for Skaldanna. Nathanial reflects on his own personal trust issues while Briksanna and Katerina form a portal successfully transporting everyone. Briksanna is surprised to find, Hawk, the general of her father’s royal guards waiting for her. Mistakenly reacting to aggression from Hawk, the twins threaten Hawk at sword point until Briksanna forces them to release him. They go to the castle and engage in heated discussions forcing Merridian to reveal herself as a Goddess. Everyone agrees to survey the damage to the Second Realm. Briksanna speculates on the possibility of a different villain acting out these attacks. In the west wing of the castle two guards assigned to the wing disrespect Briksanna and Nathanial. Suddenly the lovers fight viciously, attempting to kill one another. Merridian sees an evil spell weaving around them and she breaks the spell rendering Nathanial and Briksanna unconscious. Katerina says she witnessed the day Briksanna’s family had been killed by the same magic. Nathanial and Briksanna awaken horrified by their memories and reassure themselves of their love. Nathanial leaves to survey the land with the men and Briksanna seeks Katerina and one of the twins to view the grounds outside. Appalled at the destruction within the land, Briksanna embraces the core energy from Skaldanna collaborating with one of the twins, they sing the land back to life. Briksanna embraces her role as High Queen understanding The Prophesy more clearly. Nathanial worries when the lightning begins, only to be caught up in the energy tsunami flying through the realm, effectively erasing his insecurities, strengthening his resolve to be the leader he wants to be. Racing back to where the women were, Nathanial orders everyone to the castle. Heading to their rooms, Briksanna gets violently ill revealing she is pregnant with their first child dictated by The Prophesy. She expresses her fears for their child and the children they have fostered together along with the impact being pregnant will have on their reign in the near future. Nathanial replaces all her doubts with his love. She accepts his love, trusting him with everything she has. He accepts his role as High King knowing she will forever stand beside him never in front of him. Together they accept their roles within The Prophesy. Although I have only been physically writing for two years the ideas that conceived my first novel have been percolating in my mind for many years. 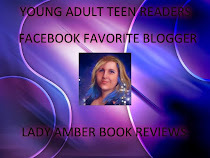 In many ways I found life experiences influencing my story although written in fantasy format. No truer words could have been said. After my first cancer battle three years ago, I was in the frame of mind of surviving trying to get back to my swing of things. Problem was I couldn't. I wasn't the same person anymore. Then I relapsed by the end of the first year. 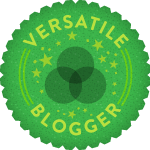 Came through that experience exhausted and have had multiple tumors pop up ever since. To say my health being a mental/physical challenge is putting it mild. I realize what I left behind in that operating room in 2010 was my passion. Cancer can't take that away, I put it away along with my drive and ambition. My creative muse happily skipped right along with the rest of them. I had to discover myself. Well here I am three years post my first surgery and even if I have to do it again in a few months, so what! I refuse to settle for a life less than what I can create for myself. I live in Sonoma County heart of the wine country of California enjoying life in the rural land happily married to a wonderful supportive husband. You can always find me reading a book, cooking a meal for our multitude of children or playing with our dog, Taylor. “I mean it, Bri, I’m going to take care of you first then you and I can talk, deal? That is the best I can offer after all we have been through tonight.” Sounding very serious he was putting all his mental effort to block her from his thoughts so she was unable to ascertain if he was lying or not. He wanted her to trust him. Looking at her mate her grin managed to reach her eyes for the first time in many years, “Deal Mate.” Two can play at that game. “Warm or hot?” he asked walking into the large bathroom. “What?” Licking her lips he wondered what it would feel like to have his arms wrapped around her all night long. She seemed distracted by his touch before, but now she couldn’t keep her thoughts in the present tense. She kept projecting her own fantasies of them together under the running water, he was afraid he would lose his cool and jump her. If she didn’t get her head out of the gutter soon he was going to combust from his own desires boiling inside of him. He smiled at her knowing she was distracted with her own private thoughts and this touched his heart knowing he excited her with just a thought. They were the same reasons he was struggling with by putting her basic needs first. He did not need her attacking him like an animal clearly as her mind was demanding her to do because if she did he wouldn’t last a second. “Water, warm or hot?” He repeated poised by the head of the shower stall. “Warm, please.” Shaking her head slightly trying to clear her thoughts he figured she should try deep breathing if focusing on the present moment continued to fail her. Goodness sakes, she was acting like a crazed teenager around him and he liked it. Suddenly feeling doubtful of her worth to him sobered up her libido real quick. She stole a quick glance at him hoping to reassure herself of his commitment towards her but he saw her looking at him from the corner of his eyes anyway. I have got to let go of this self-doubt. Those thoughts have no place between us in this moment. If I say that enough times maybe I will believe it? Setting her down carefully on the bathroom counter, holding her around the waist with one arm he leaned into the shower stall to turn on the water. She was too quiet for his liking, because after turning the water on he turned back and stared at her. After a couple of debatable seconds he went with his gut pulling her into a hug wrapping his massive arms around her filling his senses with her scent. She had endured so much. He wanted to give her so much and not frighten her with his presence in her life in the process. He knew he was the man for her and she was the woman for him but she still had a hard time with trusting despite what her heart and mind were saying. There was still a piece of her she kept hidden. Some things were just hard for her to let go of. That he could defiantly understand. Will she ever trust him enough so they could endure The Prophesy and defeat Lord Drakkoon? More importantly could he trust her to endure the upcoming battle for the sake for the universe? What a complete mess this was. When he dreamed of confronting Bri with the truth of his feelings for her he didn’t count on all of this drama to go with it. Frowning he thought about where his thoughts were heading. He would lay down his life for her no matter what, so what the hell was he worried about? For him there was no one else in the world he would rather spend his days with. She was the one for him and there was nothing anyone could do or say that would cause him to betray her trust. He let go of her, turned around and adjusted the water temperature. She heard a stray thought from him float by her like a breeze in the bathroom. I don’t know if I can trust her not to forget me. She has been alive longer than I can imagine. I don’t even know if there is someone else on Skaldanna waiting for her to come back to. She could have someone who’s been waiting for her all this time and I show up. She deserves someone who has more knowledge in all of this prophesy stuff than me. What can I bring to the table that I have gained in my whopping thirty six years of life? He was frightened he would not measure up to the man she needed him to be in order for her to succeed with her role in The Prophesy. She understood, in that moment, he had always been in the present tense with her. What was going on in that very moment, between the both of them, was the most important thing in his world and he knew it. He had not been keeping the truth of his commitment to her hidden, she had chosen not to look into his heart seeing what was right in front of her. This man was her chosen mate and she believed she had chosen well. Her father would be proud of her choice. Turning around slowly, Nate looked at her for just a few moments, and then gave a clipped nod. “Let me help you get out of these clothes.” Keeping his eyes trained on her beautiful lips he pulled her t-shirt over her head. He looked like a man who was staring at the world’s greatest problem and she was the answer. He reached around her and unclasped her bra careful not to frighten her with his actions. “You are beautiful to me.” Pulling the bra away slowly gazing at her making her feel like the most beautiful woman he had ever laid eyes on. “You are so beautiful to me.” Bringing his eyes up to her face she recognized the aroused expression on his face mirrored hers. “Baby, I want you more than I want to breathe, right now, but what kind of husband would I be to you if I start this relationship off being selfish?” His voice sounded deeper, gravely like he was straining to get the words out. His voice sent chills up her spine despite her warmth and she was getting hotter by the second. Knowing how exhausted she was, he bent on one knee to unlace her boots. Lifting her right leg he pulled off one boot repeating the action with her other foot. Still in a kneeling he reached up to unbutton her pants and pulled the zipper down holding his breath until the zipper went as far as it could go. Chancing a look at her face before he continued with pulling her pants down, he wanted to make sure she was ok with him helping her undress. She stopped him mid motion with a slight touch of her hands. “I can hear your thoughts as if they are my own. I want you to know before we go any further, I have never laid with a man.” Not waiting for his response, she straightened her shoulders hoping down from the counter pulling her pants down in front of him while he remained kneeling in front of her. What was he going to say? Here I am old enough to be his grandmother, more than several times removed, and I am just a plain virgin.